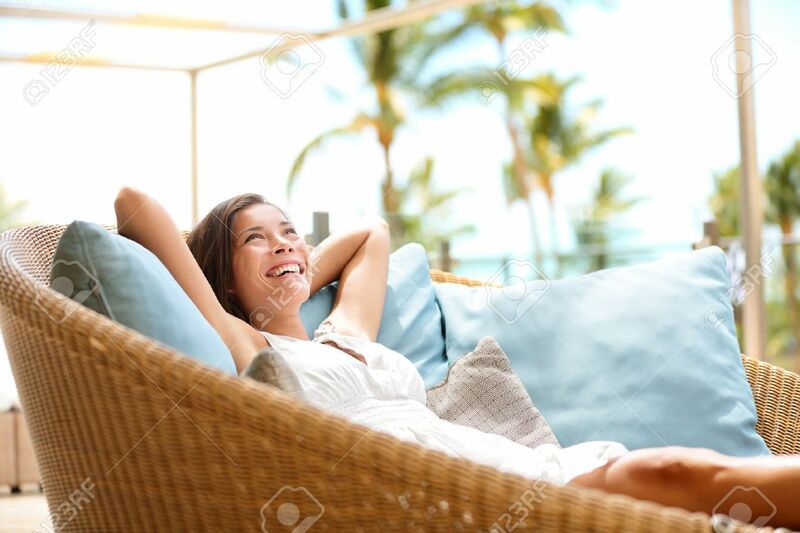 Sofa Woman Relaxing Enjoying Luxury Lifestyle Outdoor Day Dreaming And Thinking Looking Happy Up Smiling Cheerful. Beautiful Young Multicultural Asian Caucasian Female Model In Her 20s. 免版權照片，圖片，畫像及圖片庫. Image 21255899. 版權商用圖片 - Sofa Woman relaxing enjoying luxury lifestyle outdoor day dreaming and thinking looking happy up smiling cheerful. Beautiful young multicultural Asian Caucasian female model in her 20s. Sofa Woman relaxing enjoying luxury lifestyle outdoor day dreaming and thinking looking happy up smiling cheerful. Beautiful young multicultural Asian Caucasian female model in her 20s.